As most of you know already, the Snapdragon 8150 chipset, which was expected to be called the Snapdragon 855 will be found in devices like the Galaxy S10 and several others. 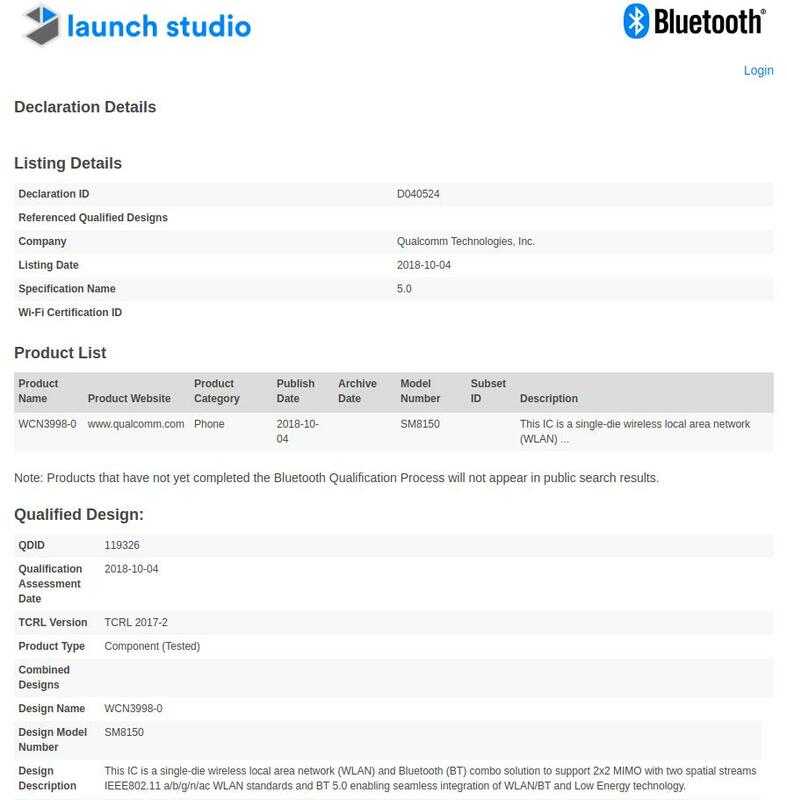 Now, the latest leak concerns the SoC with a certification at Bluetooth SIG, where we get to learn several other things about the next-generation silicon. Hopefully, it won’t be long before Qualcomm finally announces the Snapdragon 8150, while also providing a brief introduction of the several OEMs that will get their hands on it for the best Android-smartphone-class performance that we can hope to see. With the Snapdragon 8150 getting certified at Bluetooth SIG, MySmartPrice has reported that the SoC will support Wi-Fi 802.11 a/b/g/n/ac 2×2 MIMO and support for Bluetooth 5.0 Low Energy (LE) as well. Additionally, the company’s latest wireless chip ‘WCN3998-0’ is listed under the ‘design name’ as observed in the certification. However, it should be noted that the WCN3998-0 supports the next-generation Wi-Fi 802.11ax standard. 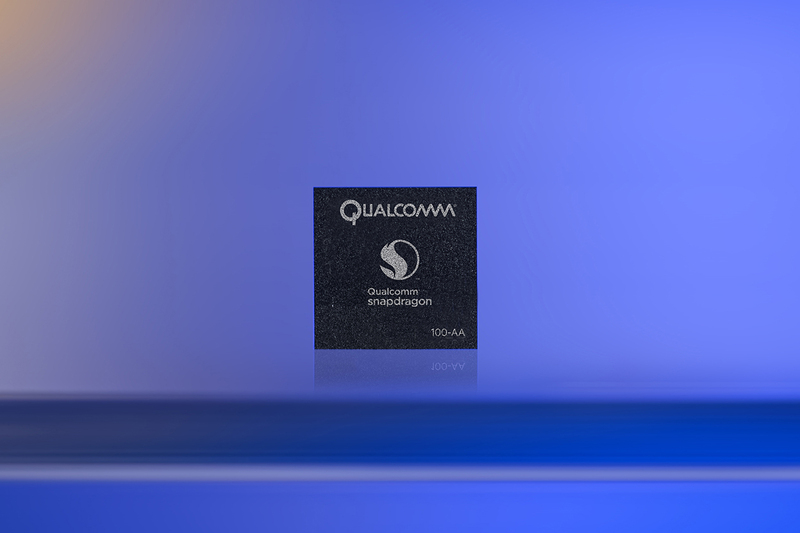 This chip also consumes less power; almost 67 percent less and supports the more WPA3 protocol with Bluetooth 5.1. This is all the information we have so far on the processor. It is possible that future smartphones can choose to use the 802.11ax Wi-Fi adapter, but we will be updating you guys on the latest info. The Snapdragon 8150 will be made using 7nm FinFET process and manufactured by TSMC. As 5G is expected to be used in smartphones next year, most OEMs might pair this chip with Snapdragon X50 5G modem. Geekbench earlier ran the prototype of the Snapdragon 8150 through some tests and it scored 3,697 points in single-core and 10,469 points in the multi-core test results. Samsung’s Galaxy S10 series will most probably be the first to be shipped with Snapdragon 8150 in Q1 next year, with a dedicated variant expected to ship with a 5G module. Snapdragon 855 Might Not Be the Official Name of Qualcomm’s First 7nm Chipset – New Naming Scheme Incoming?